A New York Times bestseller, this is the “outstanding” (The Atlantic), insightful, and authoritative account of Dwight Eisenhower’s presidency. Drawing on newly declassified documents and thousands of pages of unpublished material, The Age of Eisenhower tells the story of a masterful president guiding the nation through the great crises of the 1950s, from McCarthyism and the Korean War through civil rights turmoil and Cold War conflicts. 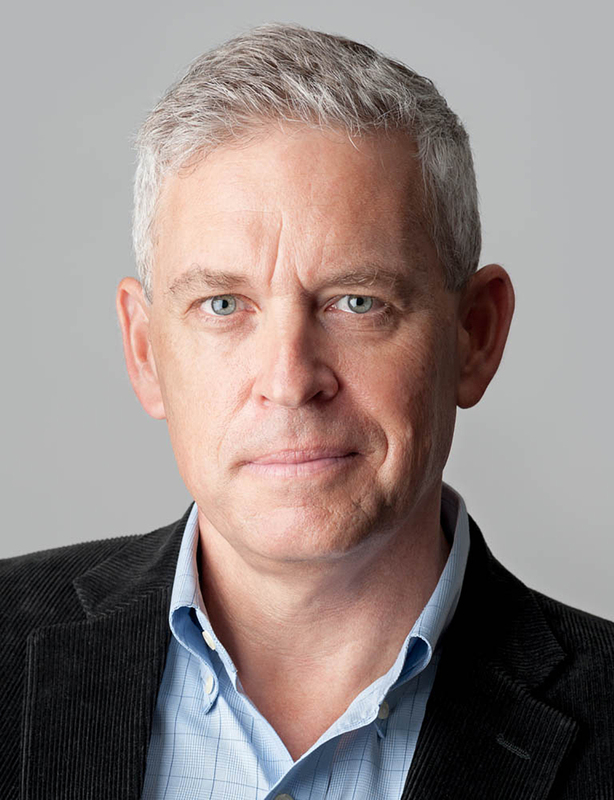 This is a portrait of a skilled leader who, despite his conservative inclinations, found a middle path through the bitter partisanship of his era. At home, Eisenhower affirmed the central elements of the New Deal, such as Social Security; fought the demagoguery of Senator Joseph McCarthy; and advanced the agenda of civil rights for African-Americans. Abroad, he ended the Korean War and avoided a new quagmire in Vietnam. Yet he also charted a significant expansion of America’s missile technology and deployed a vast array of covert operations around the world to confront the challenge of communism. As he left office, he cautioned Americans to remain alert to the dangers of a powerful military-industrial complex that could threaten their liberties. Today, presidential historians rank Eisenhower fifth on the list of great presidents, and William Hitchcock’s “rich narrative” (The Wall Street Journal) shows us why Ike’s stock has risen so high. He was a gifted leader, a decent man of humble origins who used his powers to advance the welfare of all Americans. Now more than ever, with this “complete and persuasive assessment” (Booklist, starred review), Americans have much to learn from Dwight Eisenhower. The Williamsburg, a steel-hulled vessel of 1,800 tons, had served as President Harry S. Truman’s pleasure craft; he used it for cruises with friends and political cronies. In May 1953 President Eisenhower ordered it decommissioned. He thought the ship frivolous and wasteful and felt it should be used for recreation by GIs who had been injured in the Korean War. One evening the president met the ship at the dock in the Washington Navy Yard as it returned from a cruise on the Potomac. The soldiers crowded in around him. They were young men whose bodies had been ravaged by war in some way; some lacked an arm or a leg, some hobbled on crutches, others had heartbreaking facial disfigurements. . . . They gathered as close to the President as they could get, and I heard him talking to them. This was an Eisenhower that the public never saw. He talked to the soldiers of love of country, and of sacrifice. He said their country would never let them down, but no matter how much it did for them it was nothing compared to what they had done for it. And then he said that even with all they had already given, they must yet be prepared to give more, for they were symbols of devotion and sacrifice and they could never escape that role and its responsibilities. Historians who study Eisenhower know how those men felt in his presence. Ike draws you in. He radiated authenticity, idealism, sincerity, and charisma, and these personal qualities were the keys to his political success. Between 1945 and 1961 no person dominated American public life more than Eisenhower. He was the most well-liked and admired man in America in these years. And he was also the most consequential. This book argues that the era from the end of the Second World War up to the presidency of John F. Kennedy deserves to be known as the Age of Eisenhower. Such a claim would once have prompted chuckles and even sneers from historians, journalists, and politicians. From the start of his active pursuit of the presidency in 1951, right through eight years in office, and for a decade after he retired to his farm in Gettysburg, Pennsylvania, critics styled Eisenhower as a lightweight, an amateur, an orthodox pro-business do-nothing president, a lazy leader who, despite all his grinning, was often callous and distant, more interested in golf than governing. The Washington press corps depicted him as unimaginative, slow-witted, out of touch, and frankly uninterested in the daily affairs of the country. Even as the nation enjoyed a period of unprecedented prosperity at home and a stable if fragile peace abroad, and even as the American people grew ever more fond of Ike, his political rivals were scathing about his shortcomings as a leader. It is the central paradox of the Eisenhower presidency: that a man so successful at the ballot box and so overwhelmingly popular among the voters could have been given such poor marks by the political class. Eisenhower shaped the United States in at least three lasting ways. First, he dramatically expanded the power and scope of the 20th-century warfare state and put into place a long-term strategy designed to wage, and win, the cold war. This book deals with national security and foreign relations a good deal because Eisenhower spent much of his time forging a global role for the United States. Unlike the isolationist faction in his own party, he believed that to defend freedom and liberty at home, Americans would have to defend these principles overseas as well. These views did not lead Eisenhower to seek war. On the contrary, he ended active hostilities in Korea, avoided U.S. military intervention in Indochina in 1954, deterred China’s military adventures in the Taiwan Straits in 1955 and 1958, compelled Britain and France to reverse their ill-conceived invasion of Egypt in 1956, and even established stable personal relations with the Soviet leader Nikita Khrushchev. Eisenhower worked hard, and successfully, to keep the peace. His global strategy required the steady accumulation of immense national power and a willingness to deploy that power when necessary. Building on the legacy of Truman, who laid the foundations of the cold war state, Eisenhower deployed American economic muscle, diplomatic leverage, generous deliveries of arms, and a global nuclear shield to deter and intimidate America’s enemies. He mobilized science, universities, and industry to boost American military power, even going so far as to take the first steps in the militarization of space. He presided over a significant expansion of America’s secret intelligence agencies and ordered them to conduct covert operations and coups d’état around the world. He frequently evoked the image of an “America in peril” and in so doing generated an enduring national consensus to support his robust cold war policies. Eisenhower built the United States into a military colossus of a scale and lethality never before seen and devoted an enormous amount of the national wealth to this effort. Biographers have often hailed his tight-fisted budget policies, but when it came to national defense, he was not stingy. In the Eisenhower years the United States spent about 10 percent of its GDP each year on the military establishment—a higher percentage than any peacetime administration before or since. This book offers abundant evidence that the man who warned later generations about the military-industrial complex did a great deal to build it. Second, Eisenhower recast domestic politics by strengthening a national consensus about the place of government in the lives of American citizens. Before Eisenhower, the political pendulum had swung from the archconservative nostrums of Warren Harding, Calvin Coolidge, and Herbert Hoover to the bold, all-encompassing activism of Franklin Roosevelt and the New Deal. Eisenhower, perhaps the least partisan president of modern times, sought to stop the pendulum in dead center. To be sure, when he ran for president in 1952, he thundered against the “statism” of the New Deal and its expansive federal programs. But once in office he adopted centrist and pragmatic policies that fairly reflected the preferences of most of his fellow citizens. Early on he made his peace with the New Deal, expanding social security, raising the minimum wage, and founding the Department of Health, Education, and Welfare. He even suggested ideas for a national health insurance system. Eisenhower found a way to make government work without making it too big; his interstate highway system is a good example. Though building its thousands of miles of roads cost billions of dollars, most of the money came from user fees in the form of a gas tax, used to replenish the Highway Trust Fund. The burden on the U.S. Treasury was relatively minor. In confronting the greatest social and moral challenge of his times, the civil rights movement, Eisenhower—like many white Americans of the era—responded with caution and wariness. Crucially, though, he did not obstruct progress on civil rights. Instead he channeled it along a path that aligned with his own ideas about managing social change. Knowing that he was out of his depth on such matters, he accepted guidance from the most consequential cabinet officer of the decade, Attorney General Herbert Brownell. Together these two men worked quietly through the courts to weaken Jim Crow segregation. They appointed five moderately progressive jurists to the U.S. Supreme Court and ushered the Civil Rights Act of 1957 through a skeptical Congress. The Act was a landmark only because it was so rare: the first civil rights law since Reconstruction. Eisenhower took an enormous risk, and one that was deeply uncharacteristic, when he ordered federal troops to surround Central High School in Little Rock, Arkansas, to ensure that court-ordered desegregation proceed despite the hostility of local authorities. It is true that Eisenhower never publicly or personally embraced the fundamental demand of African Americans for equal justice, but he did use his power to aid rather than halt the work of a courageous generation of civil rights crusaders who were just emerging onto the American scene. Third, Eisenhower established a distinctive model of presidential leadership that Americans—now more than ever—ought to study. We might call it the disciplined presidency. Raised in a strict and frugal family and trained for a career of soldiering, Ike believed that discipline was the key to success. Not only did he apply discipline to his own person, maintaining his weight at a trim 175 pounds and quitting a four-pack-a-day cigarette habit overnight, but discipline infused his governing style. Coming into Truman’s disorganized and improvisational White House, Eisenhower imposed order on it, establishing clear rules of procedure. Each Monday he met with leaders from Congress; Wednesday he held his weekly press conference with the print, radio, and (after January 1955) television reporters; Thursdays he chaired the National Security Council; Fridays he met with his cabinet. Ike’s insistence on vigilance, discipline, restraint, and individual self-reliance sometimes worked against him politically. He was never comfortable in the role of a purely partisan leader. He did have strong views on many issues, and he presented himself at election time as a conservative, small-government, budget-balancing Republican. But he considered the president a national leader, above the partisan fracas. This tendency to leave the job of party politics to others got him in trouble. In the elections of 1954, 1956, and 1958 Republicans lost 68 seats in the House and 17 seats in the Senate, and Eisenhower had no good answer for this implosion. When Democrats attacked him from late 1957 on for his alleged lapses on a series of issues, from national defense to economic growth and social programs, Eisenhower failed to mount an effective partisan rebuttal to these charges. In 1960 Senator John Kennedy got a jump-start in the presidential campaign, running against the allegedly cold and complacent Republican Party, and nimbly raced to victory. And so we come back to that scene on the deck of the Williamsburg depicted so movingly by Captain Beach, a scene filled with pathos and deep humanity, and in a way the perfect metaphor for the Age of Eisenhower. There sat the most powerful man in the world, relaxed in a circle of wounded soldiers, men who had given so much for their country, men who would never be whole again. It was a moment of quiet intimacy, a gathering of brothers. “I know these men,” Ike had said. These kindred spirits felt bound to one another not by their desire for power or their yearning for material rewards or their partisan affiliation. Instead, these men formed a family because of their belief in the ennobling act of personal sacrifice and public service. In their midst, Ike drew their attention not to the benefits they could now expect from their government but to the additional role they must play as exemplars of the American spirit. Nothing could more perfectly capture the hopes and the enduring appeal of the Age of Eisenhower. "A complete and persuasive assessment." "Expansive. . . . Hitchcock discusses the full range of challenges that occupied Eisenhower across the eight years of his presidency. . . . [A] rich narrative." "The Age of Eisenhower is a page-turner masterpiece about what we Americans can accomplish when we try to be and do our best. William Hitchcock tells the remarkable story of how a values-laden boy from Kansas grew up to become one of the most important—and best—leaders in modern history." 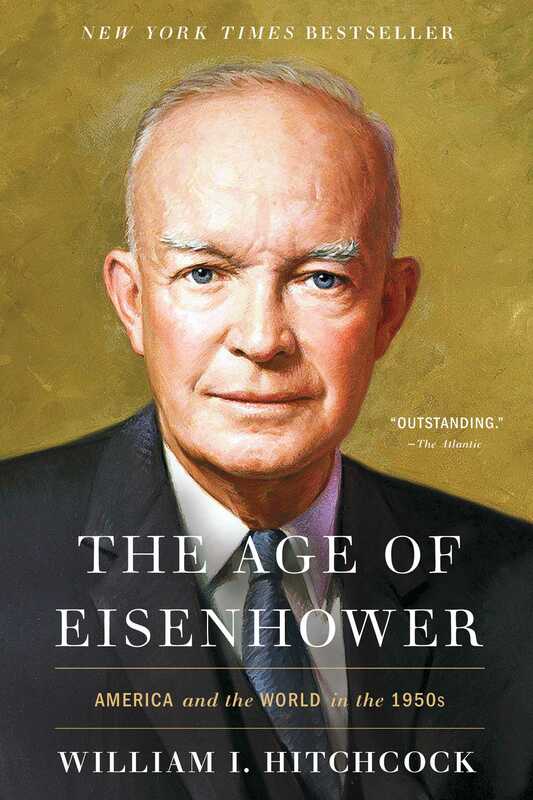 "The best single account of Eisenhower's presidency to date. . . . A lively and insightful exploration of how Ike's brand of no-nonsense leadership defined an era."